Dubai International Airport (DXB) retained its position as the world’s number one international airport for the fourth consecutive year in 2017 with annual passenger traffic exceeding 88.2 million. 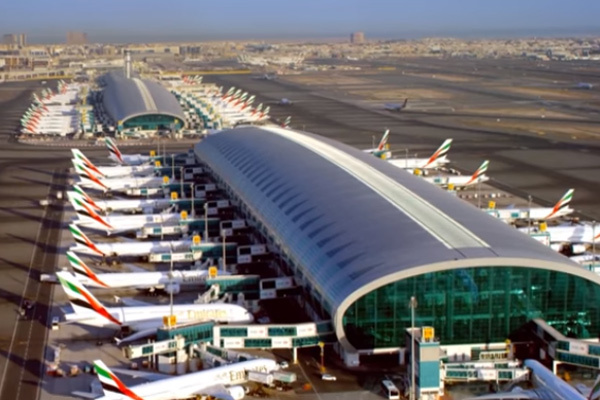 The airport connects 240 destinations around the world through about 140 airlines and is expected to serve 90.2 million passengers in 2018, said Dubai Airports' CEO Paul Griffiths, providing an update on the first half of 2018. He said of the two runways of DXB, one needs a total refurbishment and during a 45-day period starting in April 2019, the runway will be closed for a full redevelopment programme. be necessary, because we will be operating on one runway at DXB during the period. We will work closely with them to reduce the number of flights, and also transfer some of those flights to Dubai World Central (DWC) airport," said Griffiths. He said the Dubai Airports is working with its partners to introduce new ways of speeding through the airport, making sure customers can have a more relaxing journey. effective and speedy decisions to support our customer service. "We continue to invest in the sharp end of our business. We announced in July the purchase of 22 state-of-the-art Panther 8 x 8 fire trucks, which are a very impressive addition to our fleet," said Griffiths. He said DWC is in the final stages of an ambitious expansion programme which will see its capacity boosted to handle 26 million passengers a year. "The new facilities are very impressive. There are 24 new boarding gates, seven new baggage reclaim carousels, and check-in desk numbers will be increased to 104." One of the most exciting developments for the aviation sector is the new partnership between flyDubai and Emirates, which will see passengers able to transit smoothly between flights operated by both airlines.